According to Mikko Hypponen from software security company F-Secure, Windows Phone 8 is currently the most safe mobile operating system there is. Although Apple’s iOS is also commonly known as being safe, just as safe as BlackBerry for business use, it seems that F-Secure is giving the “safest” award to Windows Phone 8 at the moment. Meanwhile, Android receives a bashing for being the most unsafe, mostly because of 3rd party app stores with much less security features as the official one has, Google Play. However, Google is said to address some of the issues with 3rd party apps/stores in the new version of Android, 4.2. Also one of the reasons that Windows Phone 8 is quite safe at the moment, probably is that nobody is really using a Windows Phone 8 device, so whey should they create malware and viruses for something that nobody uses? If/when Windows Phone 8 takes off, it will of course become a much bigger target for malware, so don’t buy a Windows Phone 8 device today, thinking that you will be on the safest platform forever. Yeah, It’s too early to decide that windows phone are safest. Real test would start when users actually start using it with various apps and perform various online activities. Windows and safe in the same sentence? I lived long enough! Like you said, not many people use Windows mobile OS, as such, many hackers would not be creating malwares or viruses for that platform. With the rise of Android malware count for it is also increasing day by day. I just hope it doesn’t turn out like it did for Windows (desktop). Windows Phone OS is also a big threat to Android and iOS both. But out of Win Pho, iOS and Android, Android is the most insecure OS. Windows 8 doesn’t excites me anymore, may it be the safest mobile operating system in the universe. I’m waiting for Blackberry 10 and Firefox OS. Well, I think it is do with the popularity of Android. Today, Android is used in 75% of the smartphones. Accordingly, more and more unscrupulous people try to create malware to attack Android phones. 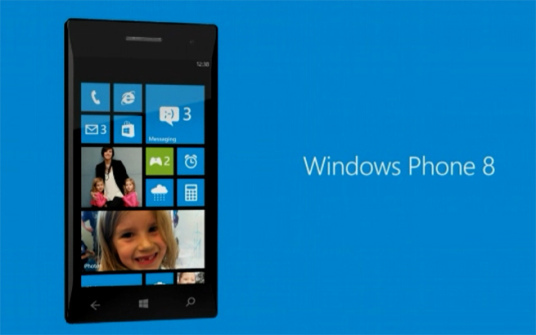 Who will bother for Windows phone when it hardly has any worthwhile market share? Well both the O.S mobiles are awesome in features and other things, And according to me i believe both the mobiles can have their own way to get it in safe way as many apps and tools are provided to secure our blogs. And be an Windows mobile user i guess it would be more safe as you’ve mentioned above. Yes, it’s safe now because there are only few people using it. And I think it will remain safe because only a few people will be using it. But seriously, they really have to do something about the security on Android. It just adds to the reasons why Apple Fanboys bash Android devices. I’m an Android user, BTW. I really like the innovation windows launch windows 8 for smartphones. so the market is rife with android smartphone which can be minimized with the windows 8. I hope that the operating system is better than android. I am so sorry, but I really disagree with this Mikko, it is to early to decide. It makes me think they have an association with Microsoft. Moreover, where is the evidence, the facts? Good one there, till the end I thought you were just endorsing Microsoft and then bang, you dropped it down !! Android is the open source platform. You can install any unknown source apps easily. So hackers can get the chance to enter in your device. Next post: Mac OS X 10.9 already being tested online?